It's one of my very favorite side dishes, that's warm & comforting and fills you right up. 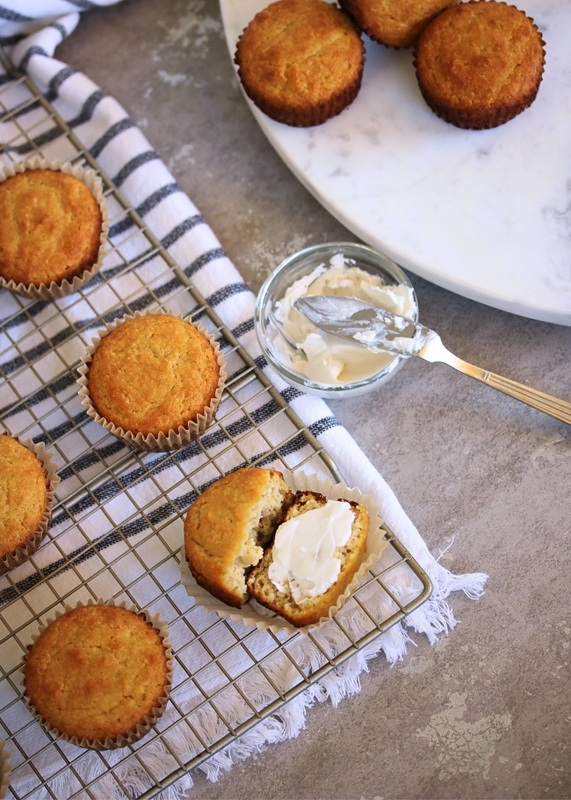 My favorite way to indulge is with a fresh, hot cornbread muffin sliced in half, slathered with whipped butter or ghee, served alongside a bowl of hot chili. I mean c'mon, right!? 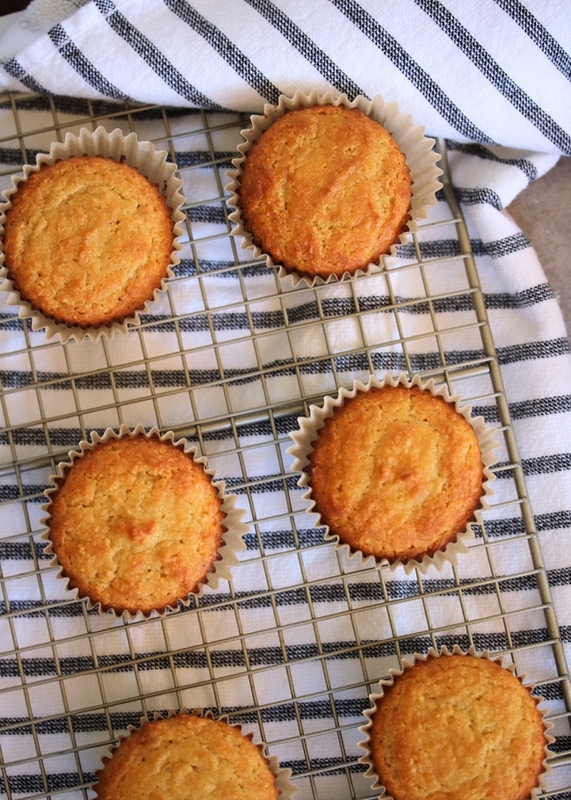 Who doesn't love cornbread. The part I haven't always loved is the amount of sugar and the use of corn. Corn really doesn't have any nutritional value that I can't get tenfold from another food, and it's one of those crops that I would really strive to find organic & non-GMO if I was going to eat it. So when I realized I could do "corn" bread without the corn, and with more nutritionally dense ingredients in its place? I was on board! 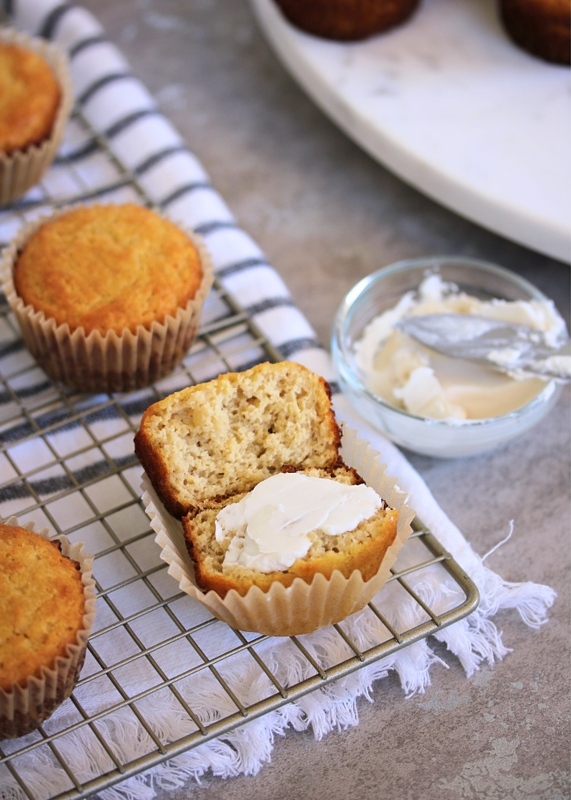 This recipe is grain & dairy free, and is only sweetened with honey. I love using raw local honey for the flavor and quality, but any honey will work! 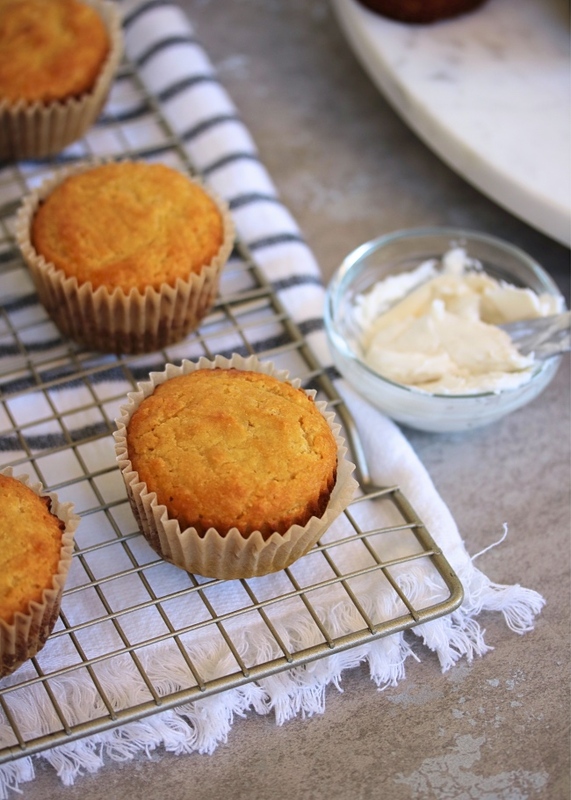 And while there's not much of it in this recipe - it's just enough to add that natural sweetness that cornmeal has, and gives you the perfect flavor! 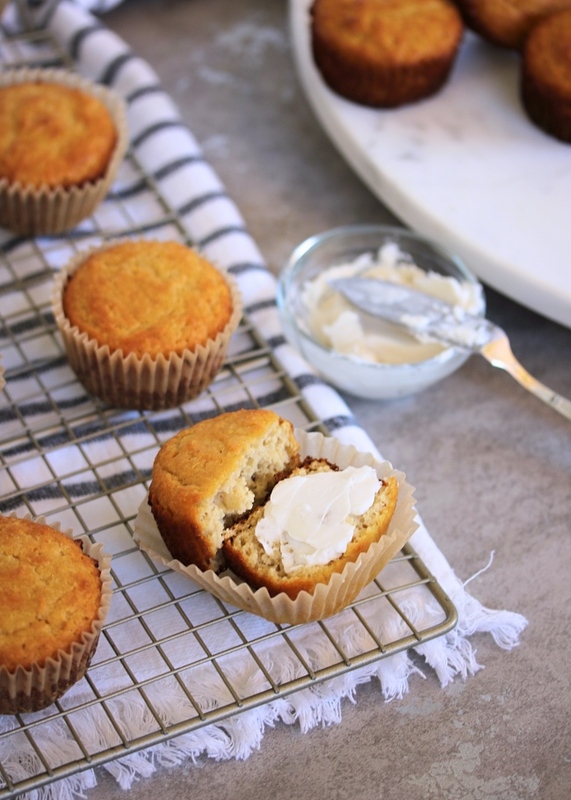 The taste & texture of these muffins are so spot on, your family won't guess you've snuck a healthy recipe past them! Serve these up with one of my chili recipes, alongside your favorite soup, or as a yummy side at Thanksgiving or any holiday meal! And I can't forget- they taste like a heavenly dessert with a little Slow Cooker Apple Butter! Preheat the oven to 350ºF. 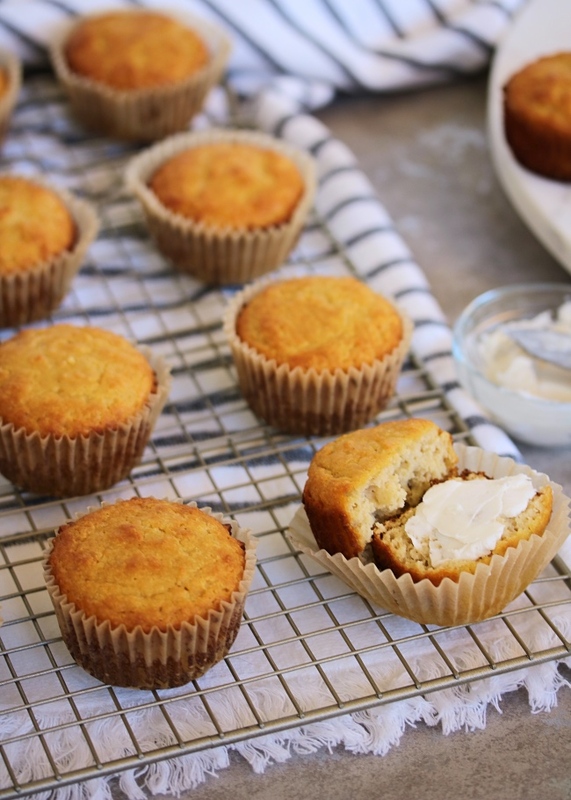 Line a 12 cup muffin tin with parchment paper cups or silicone baking cups to keep the muffins from sticking. In a large bowl, combine the wet ingredients (eggs, milk, melted ghee, honey, and apple cider vinegar) until smooth. In a separate bowl, mix the dry ingredients (almond flour, coconut flour, baking powder, baking soda, and salt). Add the dry ingredients to the wet slowly until fully incorporated and smooth. Distribute the batter evenly into the muffin tin (I added 6 standing silicone muffins cups to a baking sheet to make 18 total muffins). Transfer to the preheated oven, and bake for 20 to 25 minutes or until muffins are golden brown on top and a toothpick comes out clean. To make this in a skillet or baking dish, grease the dish thoroughly with ghee or line with parchment paper to keep the bread from sticking. Bake for 30 minutes or until golden brown & cooked through. What do these taste like? Since there isn't any corn in he recipe? Can I replace the ghee with an oil? Coconut? Avocado? I made these last night and woo hoo! They’re so good and the texture and taste is like cornbread. I followed your recipe exactly. I had to hold myself back from eating all of them. Thank you!